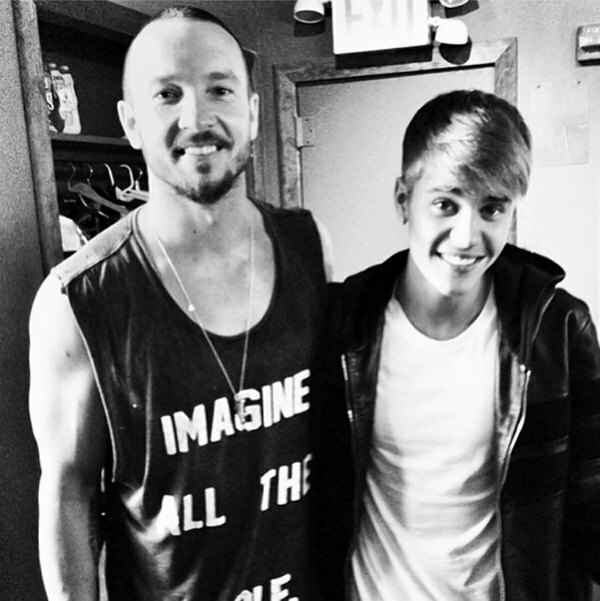 Celebrity Pastor Carl Lentz — who has worked with Justin in the past — reportedly told TMZ he spent a week doing intense Bible study with Justin last month, right after he was being extorted by whomever possessed the videos of him telling racist jokes and using inflammatory language when he was 15. JB’s team were reportedly contacted two months back by a man demanding a million dollars to not release the videos to the public. Justin’s reacquaintance with religion reportedly included studying passages in the Bible and attending services, and culminated in a baptism performed in a friend’s bathtub. TMZ reported the reason Justin got baptized in a bathtub was so he could keep things private — until the N-word videos went public and JB’s team needed to leak a story about his rediscovering religion. Why would anyone release ANY information to TMZ?!?!?? “Reportedly ” yeah right!! All they ever report is negative BS against JB. That was about time he find a place to get baptized in NYC. I want to get baptized too. You a** whole if your bored go find something to do with yourself. I thougt he was already baptised ?? ?And I agree with wassup. You should always be with god and worship him not just whenever he does something bad and this is coming from a Christian. U should always be dedicated to god not just when your being bad and u need help.he can’t be relying on god all the time every time he does something wrong. He needs to take responibilities for his own actions. Justin Bieber always takes responsibility for your behaving . People can get baptized many times if they choose.. It depends on which religion you belong to as well. People do rely on God when something goes wrong in their life.. It isn’t any of your damm business to judge someone and their relationship with God. I thought he was already baptized??? I agree with wassup. You should always be with god and worship him not just whenever he is he does something bad and this coming from a christen U should always be dedicated to got just not when your being bad does something wrong He needs to take responiblitles for his own actions. He can’t just keep turning to religion when something bad happens. Anytime there is a problem he tries and involves God, but it doesn’t work like that. He should speak about God period through any situation, not just his problems. He has God in his life in every period. It’s just in those bad moments when the public gets to know it.